The blog also features The Residents providing a song for Pee-Wee’s Playhouse, and a Raymond Scott-composed soundtrack to The Wheels That Go, a 1967 short film from Jim Henson. There are also several examples of synthesizer demonstrations. 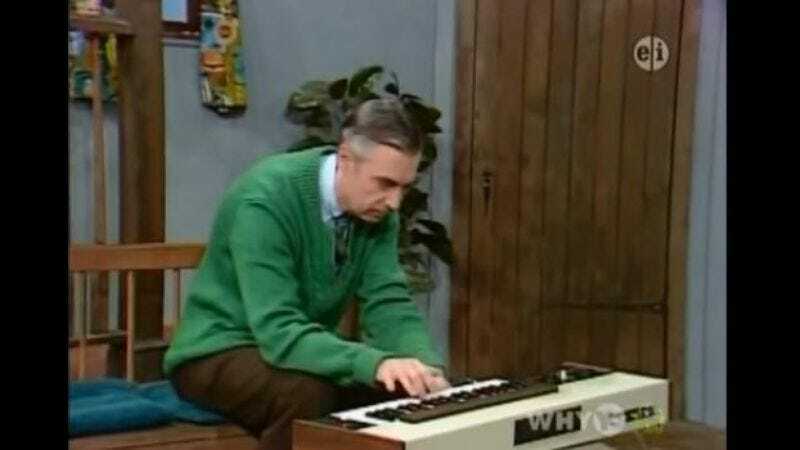 Mr. Rogers noodled a bit on an ARP Soloist. Instructional clips from Sesame Street, 3-2-1 Contact, and Reading Rainbow are dominated by fascinatingly bulky synths. A very Doctor Who-like Thomas Dolby helpfully describes how they work on Ghost Of Faffner Hall, a pretty bizarre Henson production from the late-‘80s. Experimental Music on Children’s Television has its share of pure kitsch—including a magic-synth scene from Jem. But the blog is not just a vehicle for scratchy YouTube clips and archaic-looking electronics. It’s a testament to those moments throughout the decades when television makers made a little room for the avant-garde in their shows, ever so subtly broadening the horizons of their young viewers.